Who remembers the amazing Ghostbusters movie from 1984? Slime, marshmallows, and three guys battling ghosts all over the city. This was a well-loved movie for a reason. Now, 32 years later, it’s coming back! This July, get ready to run to the theaters and watch comedic masters Kristen Wiig, Melissa McCarthy, Kate McKinnon, and more take on the role as New York’s premier ghost fighters. 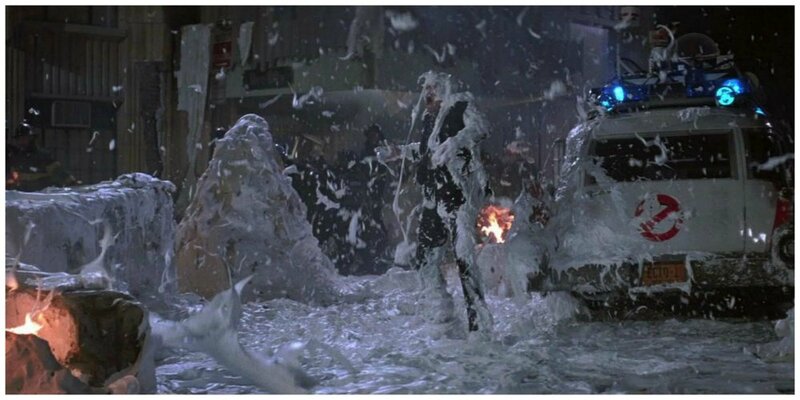 When Walter Peck (played by William Atherton) got “gooed” by the marshmallow, he almost got knocked to the ground as the props department dumped about fifty gallons of “goo” – shaving cream – on him! What was the original plot of the movie going to be?